The Eddie Adams Workshop is the only tuition-free photojournalism seminar of its kind. Applicants at the start of their career submit portfolios for consideration. One hundred participants selected solely on the merit of their pictures team up with top professional photographers and editors for a four-day gathering that includes assignments, portfolio reviews, panel discussions and presentations. The Workshop began in 1988 with the goal to redress the exclusivity of professional opportunities by accepting students based on their demonstrated skills, and not on their ability to pay tuition. The all-volunteer faculty and staff, many of whom are alumni, are passionate about the mission and donate their time and expertise. The Workshop, with chief support from Nikon, has an unparalleled history of nurturing talent, exchanging ideas and building relationships. 30 of 30 website. To celebrate the workshop's 30th anniversary, a special website highlights the work and wisdom of 30 accomplished alumni. This project was created with generous support from Nikon. The student presentations from the 30th workshop, featuring the works of each team, are online and can be viewed here. Please check them out. "The Pulitzer Prize Photographers" event on May 10, 2016 was a smashing success. Podcasts, videos and photos can all be seen here. Eddie Adams honored in his hometown of New Kensington, PA with historical plaque. Full story here, on Tribune-Review website. 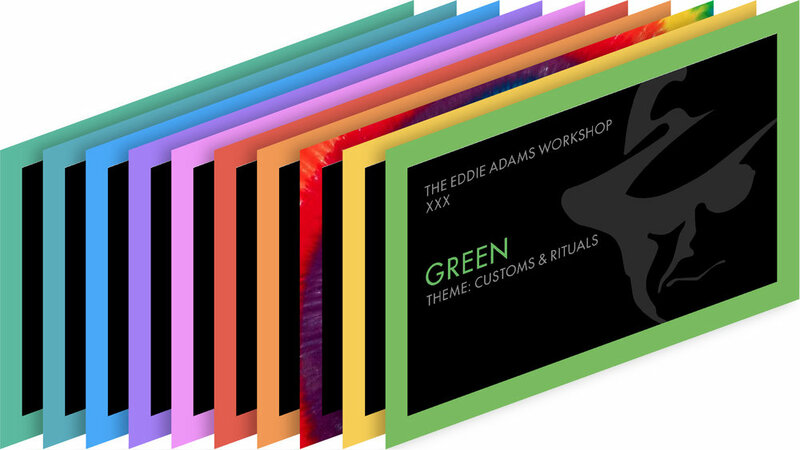 The Eddie Adams Workshop believes in providing a safe and secure atmosphere for each year’s students. Read more about our professional policy here. The Eddie Adams Workshop partners with a new app #NotMe. Read the release here. Now appearing on PhotoWings, video interviews with Eddie Adams faculty and staff. Click here to go to site.